← Daisuke Higuchi – Whistle! Just got the latest issue of Comics Revue. 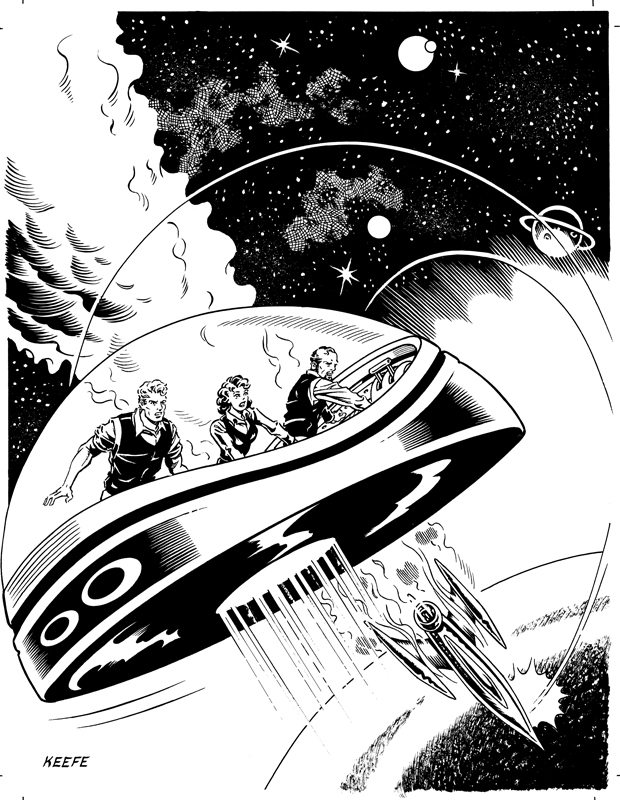 The illustration I did for the cover spotlights a 1957 Mac Raboy Flash Gordon storyline featured inside. Initial roughs sent to Rick Norwood over at Comics Revue. Rick picked number 2. Thumbnail image – first draft. 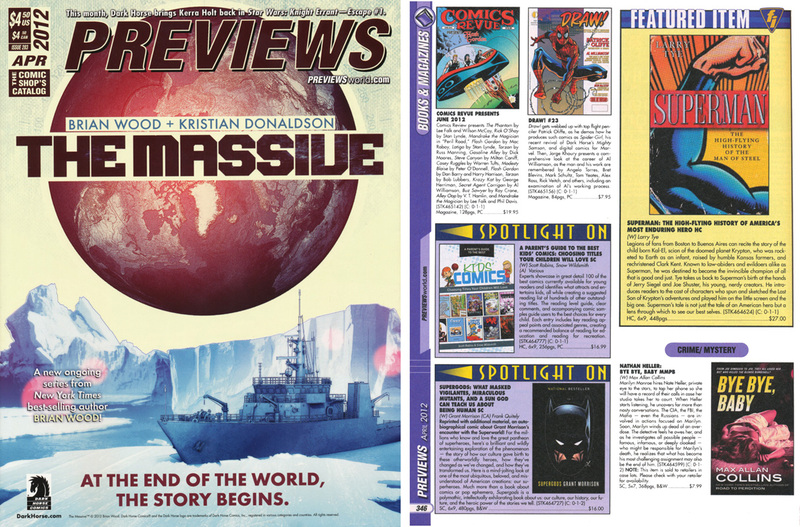 Previews magazine – where the thumbnail image is featured for solicitation. Inks for the magazine cover. Finished color – done in Photoshop. Favorite part – receiving the magazine. To purchase online you can go to MidtownComics.com. The artwork they have online is the thumbnail image but the magazine you get will have the image featured here. 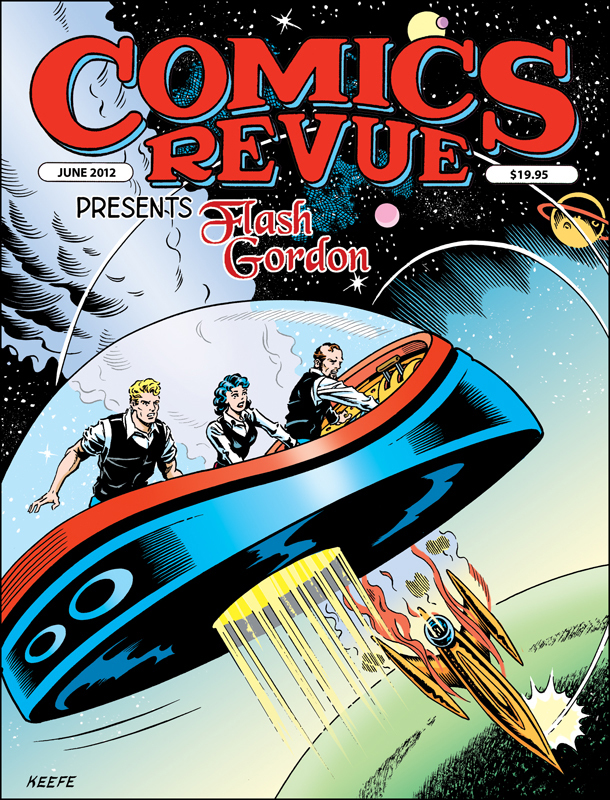 To order a subscription to Comics Revue, check out their website at www.comicsrevue.com. 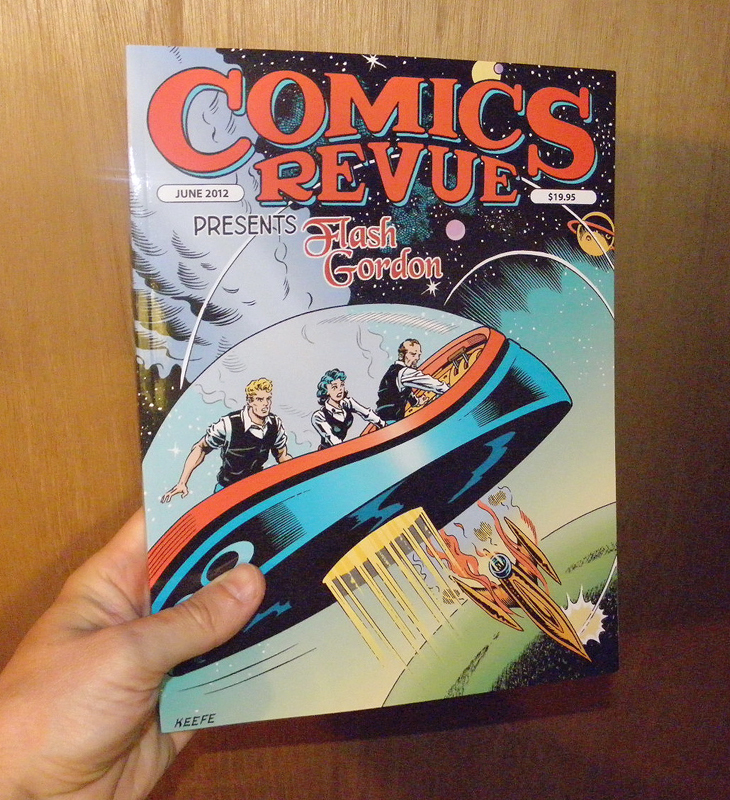 This entry was posted in Comics Revue, Flash Gordon and tagged Comics Revue, Flash Gordon. Bookmark the permalink. I have had the pleasure of knowing Jim and his work for a couple of decades now, and I have always been thrilled and amazed by his artistry. He has an amazing sense of panel construction and use of black as a color. On top of that, Jim is a very friendly, cool, and unspoiled individual. Ya can’t ask for better!